Airtel has stepped up it’s commerce market with payment banking program. Airtel Payments Bank serves primary banking utilities like savings account, online transactions, insurance cover, digital wallet and much more. Basically your Airtel mobile number works as the account number. Users get a dedicated savings account. Deposit your money into Airtel savings account and get the highest interest rates of 7.25 %. With just a finger print scan you can open the Airtel Payments Bank account via Airtel banking point. Maximum limit for the Airtel savings account balance has been set upto Rs. 1,00,000. You can open the Airtel savings account free of cost and can start with the minimum cash deposit value of Rs. 100.Also check Airtel Money Offers. After the first cash deposit, the minimum deposit value is reduced to Rs. 10. Users can withdraw money from savings account through Airtel banking points spread across the country. To locate the nearby Airtel banking point click here. Now transferring the money to Airtel or other bank accounts has been very easy. Kotak Mahindra Bank Ltd is also the part of Airtel Payments Bank scheme. Web links for the account registration and My Airtel App are given below. To get any sort of help regarding banking, contact on this numbers 8800688006. – Airtel offers same talk time equal to the savings account value. In this deal, users receive talk time equal to the first money deposited in their Airtel bank account. For instance if a customer deposits Rs. 1,000 for first time on opening a savings account then he / she receives 1000 talk time minutes. – Airtel offers free accidental insurance. It grants the cover of Rs. 1,00,000 as personal accident and injury insurance. Customer gets maximum insurance value of Rs. 1,00,000 per account. For more details please check terms and conditions given below. 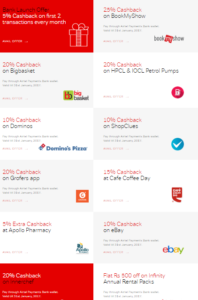 – Airtel offers free cash back coupons and deals via payments bank. These offers can be clipped with online mobile recharge, food, movie tickets, travel, shopping etc. Cash back rewards automatically credits in your Airtel account and further you can use them for online transactions or to deposit in savings account. 3. Request for one time password and verify it. 4. Compete the personal details form. 5. Enter the amount to deposit in your savings account. 6. Now enjoy the benefits of personal savings account. 1. On equivalence of first amount value deposited in savings account, the free talk time is offered. 2. Offer valid for Airtel users only. 3. Maximum balance value of savings account is set to Rs. 1,00,000. 4. Maximum insurance value is set to Rs. 1,00,000. 5. Credit values may differ with time. 6. My Airtel App is linked to Airtel savings account. 7. For more details click here.